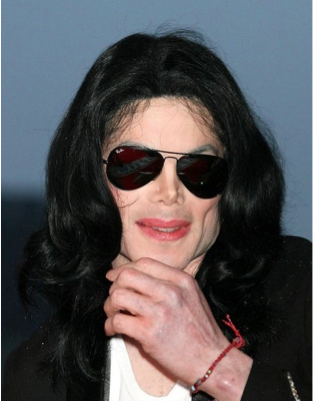 The scarlet red bracelet worn by celebrities is a Kabbalistic/Judaic symbol to ward off evil or the evil eye…so they say. 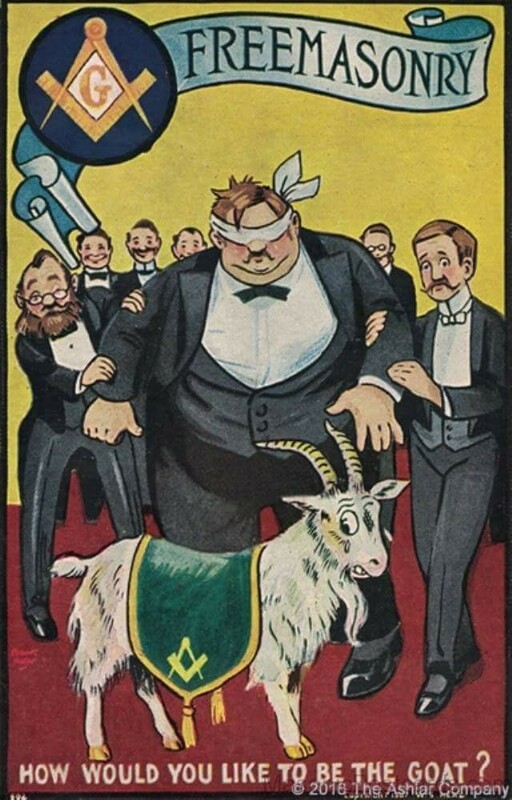 In Talmudic Judaism they took Leviticus 16:9 to another level and put a red string on the horns of the scape goat that was sent into the wilderness that was then pushed off of a cliff. The second goat, they tied the red string around the neck of the goat. This was there sacrifice. 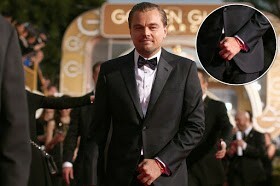 “According to the Talmud, the red string was used in the scapegoat ritual of Yom Kippur in the wilderness. During this rite, the High Priest would place his hands upon the scapegoat, confess the sins of Israel, and ask for atonement. He would then tie a red string between the horns of the scapegoat and another piece around the neck of a second goat to indicate where it should be slaughtered. The second goat was then killed as a sin offering and the scapegoat was sent into the wilderness. Once there, the person in charge of the scapegoat would tie a rock to the red thread on the scapegoat and shove the animal off a cliff (Yoma 4:2, 6:8). 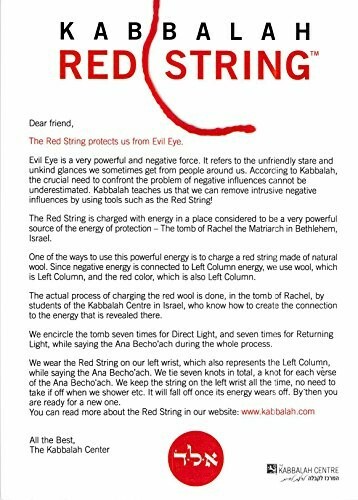 There are many different reasons for wearing a red string, and the origins of these tend to be connected to the various instances of protection and repentance evident in the aforementioned occurrences in the Torah. As such, the reasons in the Jewish and non-Jewish world (see Other Cultures below) tend to revolve around protection, whether it’s protecting people, animals, or property against sickness, the evil eye (ayin hara), or other negative energy or occurrences. Tying a red string to your left wrist wards off bad luck (ayin hara, or the evil eye). Wear a red string until it naturally wears away and falls off and you will subsequently meet the person you’re meant to marry. 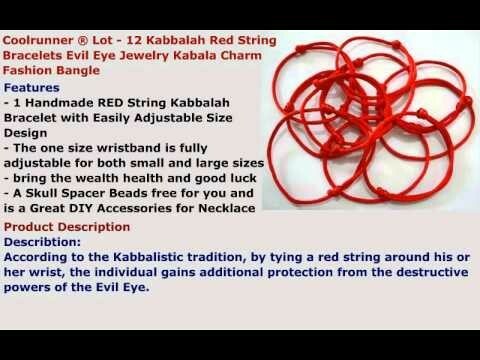 If pregnant or trying to get pregnant, wear a red string around your wrist or waist to ward off the evil eye. If you visit Israel or, more specifically, the tomb of Rachel in Bethlehem, many of those selling red strings claim to have wrapped the threads around Rachel’s tomb seven times. The purpose of this supposed act is to provide the wearer of the string with characteristics of Rachel, including compassion and generosity. The Debreczyner Rav, or Be’er Moshe 8:36, wrote about his childhood where he remembered seeing pious individuals wearing red strings, although he could find no written source for the practice. Ultimately, he indicates that it is an accepted practice to ward off the evil eye and Minhag Yisroel Torah Yoreh Deah 179 concurs. In the Tosefta, Shabbat 7, there is a discussion about the practice of tying a red string on something or tying a string around something red. This specific chapter in the Tosefta actually deals with practices that are forbidden because they are considered darchei Emori, or practices of the Emorites. More broadly, the Tosefta is discussing idolatrous practices. Now ironically these idiots wear this to let the world know who they follow and like I mentioned before, to supposedly ward off evil. It’s not gong to work for them though. What’s funny is that in Judaism this was to mark the sinful goat of sacrifice. They are marking themselves to follow the beast. Notice they put it on their left hand. Jesus told us the goats are at His left and the sheep are at His right. Now you tell me, what does this really symbolize? 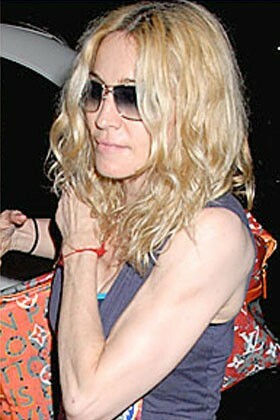 You can see more pictures of these goats with the red string around their left hand here (http://www.whale.to/b/kabbalah_bracelet.html). Demons: The Waves of Locusts on a Full, Blue, Super, Blood Moon? Arobots: A Modern Pandoras Box or a Jar Filled With Wrath? I wonder if this is somehow connected to the red scarlet string Tamar put on, what she believed was her firstborns hand, but his brother came out first in Gen 38: 27 to 30? Before the Law it was traditional for fathers to bless their firstborn [bekor] to receive a position of authority in the family Gen 27:37, and excel in honor and power Gen 49:3, however there were some prime examples of this blessing being denied the firstborn. Abraham’s second born Isaac received special blessings over his firstborn son Ishmael. Paul explains in Gal 4:23 that Abraham’s son by the slave woman was born according to the flesh, but the son by the free woman was the result of a divine promise. God prophesied to Rebekah that her first born would “serve the younger” Gen 25:23, Esau sold his birthright to Jacob for some stew in Gen 25: 24 to 44, and Isaac was tricked into blessing Jacob instead Gen 27: 1 to 29. Paul explains in Romans 9 that this was God’s choice v12, because He loved Jacob v13. Reuben was denied preeminence by his father Jacob because he defiled his bed Gen 35:22 & 49:4. Jacob blessed Joseph’s second born Ephraim above his first born Manasseh in Gen 48: 13 to 22. It appears that the preeminence of the firstborn was an exception, and not a hard and fast rule, and the birthright was given to the one worthy of it! Perhaps the fate of the two goats ties into the birthright going to the second born who has the red string with the second goat representing Christ’s sacrificial death for the sins of mankind, and the first goat representing Satan who was sent into the wilderness and shoved off a cliff. But why would their be a question of birthright between Christ and Satan? Christ, in the beginning was the Word, with God, a god, through whom all things came into being and in him was life and the life was the Light of men that shines in the darkness and the darkness did not comprehend it John 1: 1 to 3 which aligns with Gen 1: 1 to 4, in the beginning there was darkness before God created the light, and seeing the light was good, separated it from the darkness. Was Satan the preexisting darkness who lost his birthright to the light who is Christ? I was going to get into the Tamar angle but didn’t I have time. Those are great points. I’ll look into them. Thanks for the comment.